It’s already available on Amazon, Kobo, Smashwords and DriveThruFiction, though! 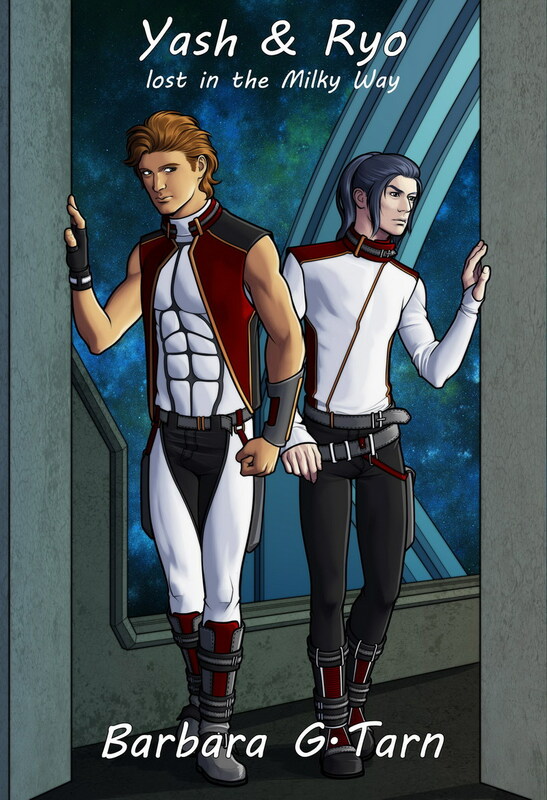 🙂 Yash and Ryo Lost in the Galaxy starts in the Star Minds universe, but can’t be considered part of the series. As mentioned, the cover is by the awesome Renrou. I have finished inking SKYBAND 15 as well, so I can alternate the small computer (for writing) and the laptop (with Photoshop for coloring). Oh, and there are two POD live as well, in case you want paper books: Star Minds Chasing Stardom and Star Minds Next Generation Diaries (Createspace links, since the second is probably not on Amazon yet). Cover art still by Mighty Marvellous Maurizio Manzieri. Now, to some writerly links. 28 (Better) Things No One Tells You About Publishing – I don’t agree with all of them, but with most, definitely! 😉 Are You An Author Or An Ebook Marketer? I don’t know about you, but I’m a writer. I write. Don’t be the One-book-wonder – unless you like to play the lottery, that is. See this Gentle Reminder by Joe Konrath, by the way. And if you want to publish a book, here’s How Should You Publish Your Book? Indie or trad, up to you. Research, experiment and don’t give up. Don’t be the One-book-wonder – unless you like to play the lottery, that is. Oh, wait, did I already say that? Sorry… 🙂 Wishing you all a great week!